A refreshing summer drink to beat the heat and the thirst. 1. Slice the cucumbers and blend them into a smooth puree. 2. Add the orange juice and strain well into a jug. 3. Add sugar and cold water. 4. Add mint leaves and stir well. 5. Keep it in the fridge for 30 minutes. 6. Pour into individual serving glasses with one or two ice cubes. Tip: If desired, garnish with slices of cucumber. 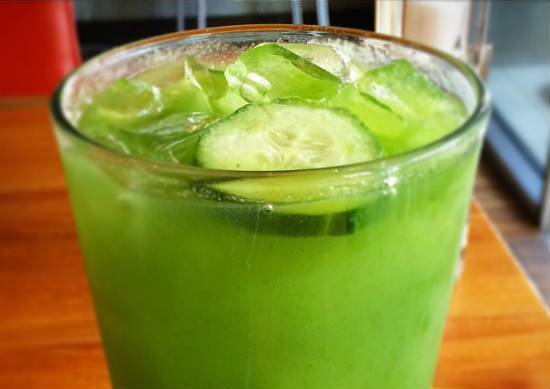 Feel free to comment or share your thoughts on this Cucumber Mint Cooler Recipe from Awesome Cuisine.